Main attraction of krishna janmashtami is dahi handi !! 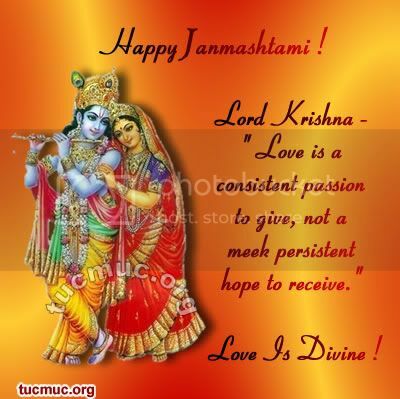 janmashtami is the celebration of lord krishna's birth. share janmashtami and dahi handi greetings. Mathura is the native place of lord Krishna. Because of his great Godly power, Lord Krishna is another of the most commonly worshipped deities in the Hindu faith. He is considered to be the eighth avatar of Lord Vishnu. Shree Krishna delivered Bhagwad Gita on battlefield to Arjuna.